Yes; this is for your eyes only, but then again; what are eyes but intelligent light-detectors of which the photoreceptors connect light to movement? 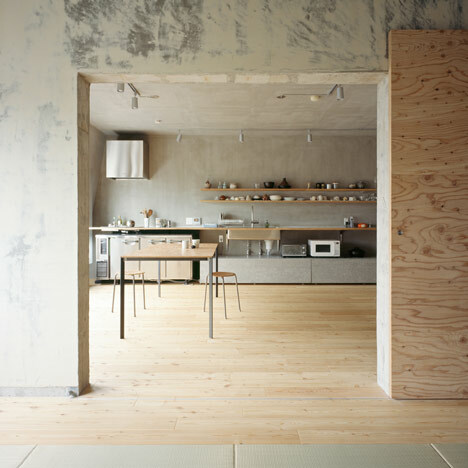 This renovated Tokyo apartment by Naruse Inokuma architects made me think of what Deleuzian architecture (at least for someone with an interest, rather than an understanding of it) might feel like: its stripped-down appearance has something of a home in which individuations are impersonal and singularities pre-individual. The concrete necessitating the invention of new means of ‘homely’ expression. Interestingly, it invokes an image of ‘unfinished matter’: the arche-brutality of concrete always escaping what it is used for.